At Pinnacle Pellet Stoves, we stand behind every multi-fuel pellet stove we sell with a solid one year warranty on all parts, and a three year warranty on the stove body. Other corn stoves may look similar, but they sure don't work as well. Only PINNACLE Corn Stoves have the patented Energy BOOST System, which will save our customers THOUSANDS of DOLLARS. It's like getting a FREE pellet stove delivered right to your front door! This EXCLUSIVE and REVOLUTIONARY System increases stove efficiency by an amazing 25% and allows PINNACLE Corn Stoves, or any similar type pellet stove equipped with the Energy BOOST System, to burn less fuel than ANY OTHER pellet stove! Pinnacle BLOWS AWAY the competition with the absolute BEST Corn Stove DEALS in the world! GUARANTEED! PINNACLE proudly introduces a BRAND NEW patented INDUCTION VENTING SYSTEM with NEGATIVE PRESSURE. We now offer the safest and most affordable true multi-fuel pellet stove on the market! Corn, Wood Pellets, Wheat: OUR STOVES WILL SAFELY BURN IT! 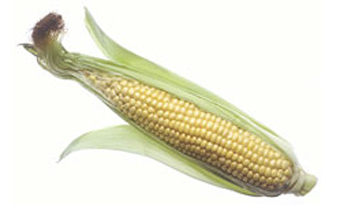 Corn kernels are used as pelletized fuel for pellet stoves and furnaces. Corn kernels are a natural pellet, which gives them a huge economic advantage over other man-made biomass pellets and wood pellets. Bioenergy provides substantial economic, environmental, and security benefits. The use of renewable biomass energy creates additional forms of revenue for farmers and other economic industries. This process also reduces high volumes of waste. It is also worthy to note that this type of energy reduces landfill expenses significantly by disposing of volume waste. Also, the use of biomass for bioenergy reduces fossil fuel use, therefore preventing large amounts of emissions of greenhouse gasses and harmful pollutants to the environment. Bioenergy is a very domestic energy source becaues it doesn't depend on imported energy, like oil. Since corn is grown in massive amounts across the world and every continent (other than Antarctica), corn kernels are a very widespread and cheap form of energy. Why heat your home with a Pinnacle Corn Stove? It took more than 4 million years to create fossil fuels, oil, gas and coal. It takes 40 years to grow mature trees. It takes only 4 months to grow a crop of grain. PINNACLE CORN BURNING HEATERS, AN ALTERNATE ENERGY SOURCE THAT YOU AND THE ENVIRONMENT CAN LIVE WITH ... COMFORTABLY! They burn 20% HOTTER than wood WITHOUT all the smoky smell, messy clean up, lighting problems, and overall effort to keep burning!!! You will be ABSOLUTELY AMAZED at how EASY Pinnacle Corn Stoves are to use!!! They are simple to light, and with our optional patent pending Energy BOOST System, you can heat your home for up to 48 HOURS WITHOUT LIFTING A FINGER!!! All you have to do is pour the corn kernels in the hopper and FORGET ABOUT IT!!! It doesn't get any EASIER!!! Clean up is also a BREEZE!!! Since PINNACLE Corn Stoves burn MORE EFFICIENTLY than wood stoves or pellet stoves, what little ashes are left can fit in a coffee mug!!! These corn burning heating stoves are truly the MIRACLE HEATING SYSTEMS of the NEW MILLENNIUM!!! This stove has been improved from a corn only positive pressure stove to a negative pressure multi-fuel stove using a patented induction venting system which allows this stove to now safely burn wood pellets and other bio-fuels. Please read the owner's manual carefully and follow all recommended cleaning and maintenance instructions. In our extensive experience, we have found that burning corn whenever possible is always preferable to other types of fuel since it is safer, cleaner and more efficient. This stove is equipped with a safety shut-off device to prevent a stove fire. However, if you are burning wood pellets, or any other fuel other than corn, we require that all of those customers use a battery back-up device similar to those used to keep computer systems running in the event of a total power failure. This will prevent the heat and smoke from backing up the auger tube into the hopper if the power goes out. Pinnacle will not be held accountable for failure to follow this requirement. If your power goes out for extended periods of time, then you can use an AC/DC power inverter to run the stove if you need to for emergency heating. Pinnacle has both of these devices in stock and on sale if you need to purchase them from us.